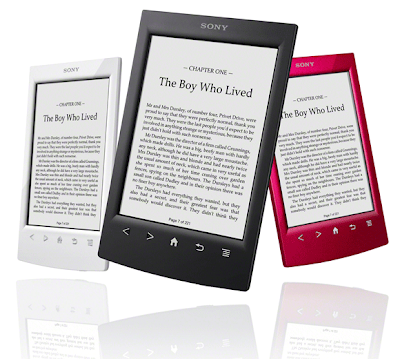 New look of Sony Reader PRS-T2 complete redesign. Sony has released the new Sony Reader for the Books reading people and along with this tablet Sony also revealed that Evernote integration as well as Harry Potter book coming just for $129.Now one more additional reader in the market available along with Amazon kindle.The Sony Reader has completely redesigned with unique body and style.The body of the tablet looks bigger and better as well as looks good design.Sony already promised that this new Reader will be having the fast touch response with reader of PRS-T2.Also this reader will be smoother and zooming capacity as well.This will be having page turning technology as well as time out.Also sharing is possible through the Fray allow users to save their pages in the favorite services. This allows users can post the pages and post from the books.Also Sony provides the browser based account information access.Also when the used purchased and added any books push notification intimate the user to read the books.Sony Reader PRS-T2 comes with 2GB of internal storage also it comes with translation dictionaries with English to other language and vice versa.Battery life is really awesome two months of battery will be stable its really awesome even with wi-fi connection.Also the 6-inch Pearl E-Ink display cost around $120.